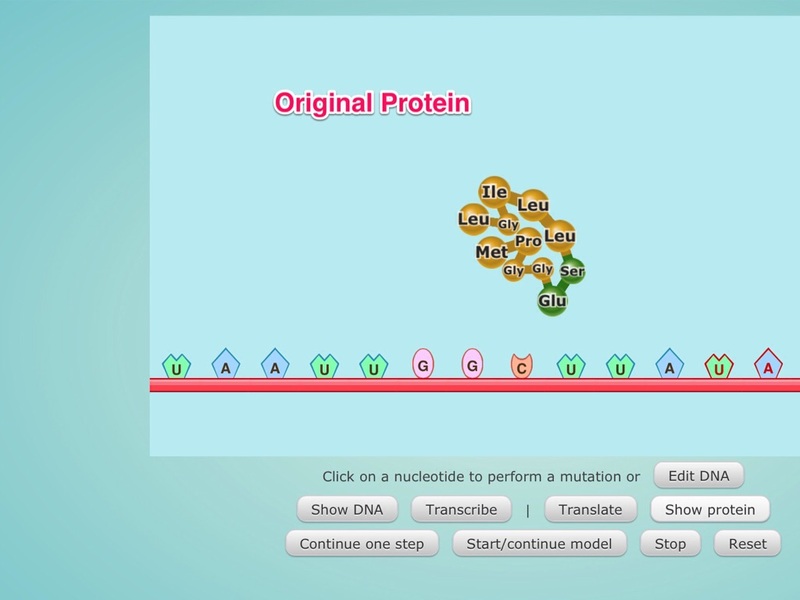 Yes, each of the mutations produced a different protein. 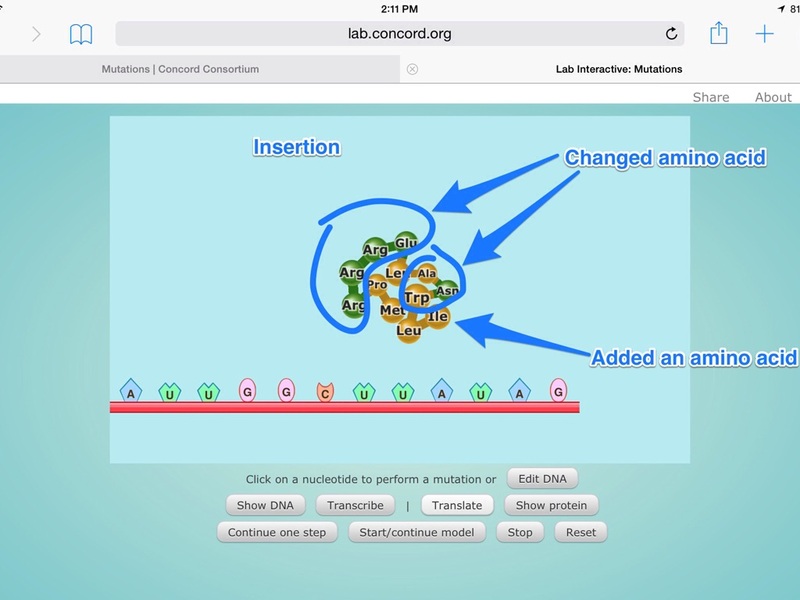 In insertion, it changed a bunch of proteins and added another. 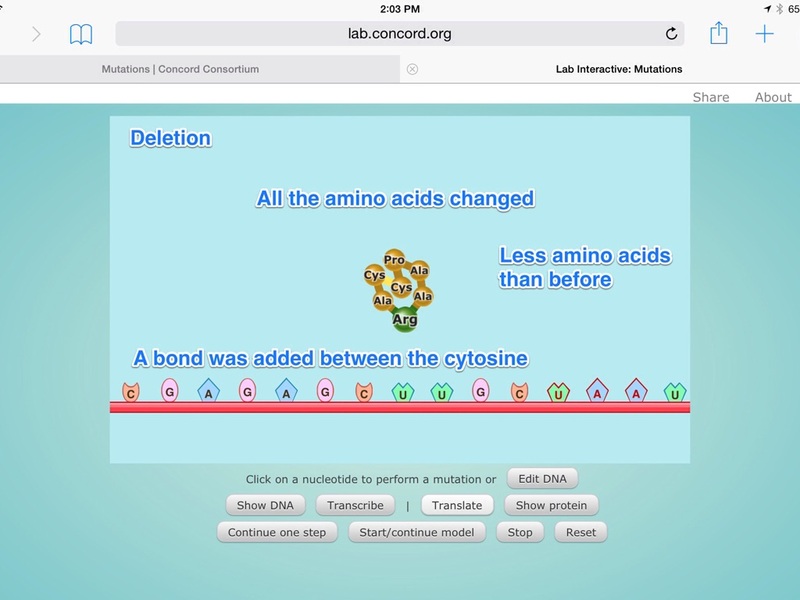 In deletion, it changed every single one of the proteins. 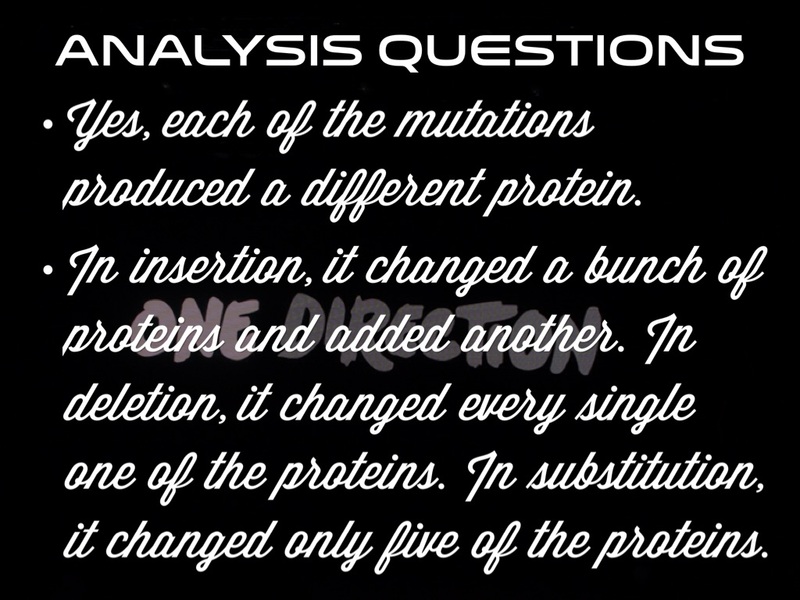 In substitution, it changed only five of the proteins. 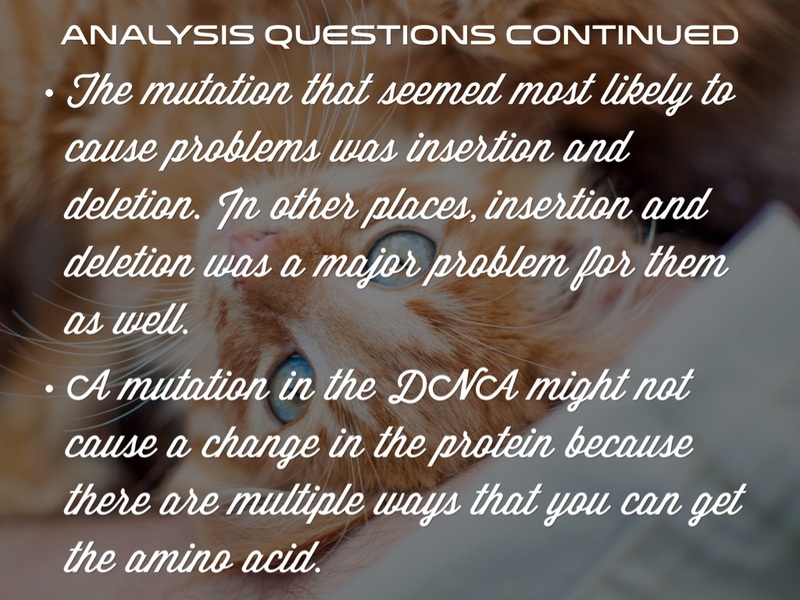 The mutation that seemed most likely to cause problems was insertion and deletion. 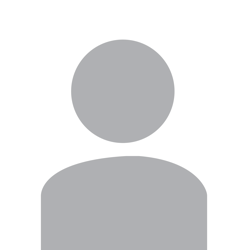 In other places, insertion and deletion was a major problem for them as well. 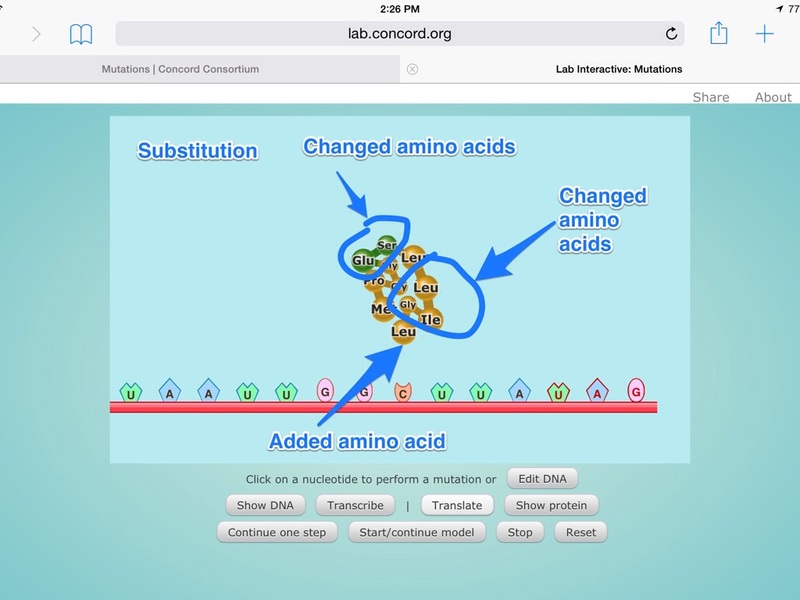 A mutation in the DNA might not cause a change in the protein because there are multiple ways that you can get the amino acid.